Wait, you’re not ChaosD1! Who the hell are you? 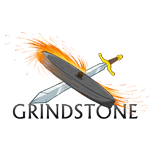 Hi, I’m Mala the Grindstone Community Moderator aka the person who deals with things so Jon doesn’t have to. Don’t worry, anything major such as a banning or official post will always be approved by him first! If you have any questions please ask me! Ok those you ask Chaos. Contact him by email at mmogrinder@live.com , @mmo_Grinder or @chaosd1 on Twitter, www.patreon.com/mmogrinder for Patreon questions. Generally whatever whatever you see people playing in Discord. If you have a game you’re playing, ask in the general Discord chat or on the forums to see if other people are interested! What games is Chaos playing? Usually whatever he’s streaming or reviewing next. If he’s playing what he’s planning to review with the community, the channel for it will be listed near the top above the AFKave. Chaos is in the channel for a game I don’t play! Can I jump in just to chat with him? Generally, no. Most of the time he’s playing with people and needs to be able to coordinate with them. This is a lot harder if there’s a bunch of unrelated chatter going on. What if I play the game but I’m way behind/ahead where Chaos is? Maybe. It really depends on what exactly he’s doing. It’s always better to ask in text in Discord or in game first. If you’re ahead and chatting, do NOT give spoilers or solutions unless specifically asked. A bunch of people are in another game. Can I jump in? Generally yes. However, keep in mind that they may be in a party and trying to coordinate. You may have to wait a bit to chat. The answers to the past several questions are a bit confusing. tl;dr If you’re jumping into a channel and not sure what’s going on, be polite and ask in the chat or in-game chat! The AFKave is a channel where people can stay online without talking or hearing others, since voice chat is disabled. What’s "Chaos’s Secret Koi Pond of Death"? Chaos’s Secret Koi Pond of Death, formerly known as Chaos’s Secret Ball Pit, and Chaos's Secret Volcano Lair, is Chaos’s private channel for when he is streaming, and/or wants to keep who he’s talking to down to just a party. Who are the Discord mods? Who do I ask for an invite into X guild? Ask whoever's playing. You’ll probably get a faster response from someone other than Chaos especially if he's streaming. I have a problem with another member. PM me and we’ll work it out. Do NOT post about it on the forums or spread it around the community. Feel free to ask someone!